The latest update to Team Fortress 2 added Replays. This allows you to save a recording, much like a SourceTV demo, of your current life on servers that have the feature enabled. What separates this from SourceTV demos, however, is that replays are automatically delivered to the client over HTTP. Once you save a replay, you can view and edit scenes using the built-in editor. The editor is very simple and easy to use, and allows you to capture the action from any angle and save different takes of the same replay. Once you have a take, you can save it as a video or image sequence with several options for quality. This really simplifies the process for making simple TF2 videos without external programs. The server-side implementation of replays is very unstable currently, with blocking and crashes, but hopefully that gets fixed soon. Setup requires a web server, which can be local or accessible via FTP, and there are example configs provided that make setup very easy. Portal 2 picks up where Portal left off, preserving the same original concepts and attitude. This time, however, there are more portals, more physics, less portals, more flubber and other goos, and other new surprises. This game is longer and more story driven than the first. The main attraction here is the puzzles, which at times require some creative thinking. If you have played Portal, you may find Portal 2 puzzles less challenging simply because you have practice. The good news is that there are some new mechanics added in to change things up, like the gels. Also worth noting is that there seems to be less emphasis on perfect portal placement in many puzzles, since valid portal surfaces are limited, and more emphasis on putting all the provided pieces together. Some good news for casual gamers is that there is also low reliance on quick reflexes. The game also features a co-op mode, extending the game with puzzles requiring cooperation between two players to solve. This drastically increases replayability since you can get a new experience with a different partner. For example, you can find fun and creative new ways to kill your partner. This part is very well done, with gestures, signaling (such as a synchronized count-down), and voice chat. It also appears easily extendable, which might mean more content being added later. Portal 2 is an amazing science-fiction comedy first-person puzzle action adventure game. The story is brilliant and absolutely hilarious, with lots of unexpected turns. Definitely recommended! Minecraft is a game that cannot easily be described. Any attempts I’ve heard failed to do the game justice, not necessarily because the game is amazing, but because the descriptions make it sound pretty lame. I’ve been putting many hours of free time into the game since I bought it last week, so there is definitely substance to this game. I’ll attempt to give a basic summary of the gameplay. The game revolves around blocks that represent different materials such as stone, wood, and minerals. The whole infinitely generating world is made of these blocks. You can build and use various tools to help manipulate the blocks and collect the materials. You can also attach blocks to other blocks to build things, which is where most of the fun lies. For an added twist, there are monsters that appear at night or in dark tunnels. The answer is build stuff! You can build pretty much anything you can imagine, limited only by your creativity and amount of effort you’re willing to put in. So far I’ve built a maze and a roller coaster, which is pretty fun. Other players on the server are building way more impressive structures. At the time of this writing, the game is in the alpha stage of development so there are bugs as expected, especially in multiplayer mode. These don’t do much to get in the way, though. The game is moving to beta on Dec. 20th, which also means the price will double. So if you’re thinking of getting the game, buy it before then! 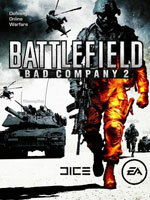 Battlefield Bad Company 2 is the latest addition to EA/DICE’s Battlefield franchise, released earlier this month. It is the sequel to Battlefield Bad Company. It features several online modes as well as a short single-player campaign (which I admittedly didn’t finish). This review will cover the multiplayer modes for the PC version of the game. The game features some of the best graphical effects I’ve seen and it really makes me appreciate my recently upgraded system. Something that also stands out about this game is the ability to alter the environment, from cutting down trees to collapsing entire buildings. There are 4 game modes: Rush (attack/defend), Conquest (territory control), Squad Rush (smaller version of Rush), and Squad Deathmatch. I prefer Rush since is has the most defined objective and focused action. Teams are broken into squads of four to promote teamwork, along with point incentives for helping your squad. You also have the ability to spawn on other squad members which further promotes teamwork. I really like what they have done in this area. The class breakup is simplified from previous Battlefield games, with only four choices: Assault, Medic, Engineer and Recon. Each class has several categories of customization for weapons, devices, and other perks. Though they play a smaller role that other Battlefield games, the vehicles are nice. There are the usual tanks, armored vehicles, helicopters, cars, boats, as well a some new additions. These include ATVs, jet skis, and a UAV you can control remotely which is pretty cool. The ranking system is also more refined with progress and awards shown on loading screens. You get points for everything you do in game that aids the team. These points go towards upgrades and your overall rank. The unlock system is a nice way to ease the learning curve of the game, since you start with the basic loadout and unlock more choices. While the gameplay is awesome, there are a few major flaws that I hope get addressed in future patches. My biggest complaint in the team balance issues. It is very common to see teams become incredibly unbalanced and the game makes it difficult to rectify since team switching is restricted. The games tries to put players on the same team and squad as their friends, which tends to be the source of the unbalances. Another annoyance is the friends system, which barely works and is very limited. These issues can probably be easily fixed by patches, so I hope they do soon. This game is awesome. If you like first-person shooters, I highly recommend this game. Also, some may like to know that this game supports dedicated servers. Left 4 Dead 2, the sequel to the popular zombie shooter Left 4 Dead was released earlier this month. Overall it is a huge improvement over it’s predecessor, with new weapons, new types of infected, and some new game modes (and more detailed gore). This review will cover what’s new in Left 4 Dead 2. Along with original Co-op, Verses and Survival modes, L4D2 adds Scavenge and Realism to the mix. Scavenge mode pits two teams of 4 together in a race to collect the most gas cans. Teams take turns between Survivors collecting cans, and Infected trying to stop them. The winning team can be determined in a single round or the best 2/3 or 3/5 rounds. Scavenge is my new favorite game mode, since games are short and full of action! Realism is basically Co-op with the “user-friendly” features removed along with some damage modifications. This means that helpers like halos around teammates and items are removed for a much less forgiving environment. It was designed for the hard-core players. Among the original Hunter, Smoker, Boomer, Tank and Witch, L4D2 introduces the Charger, Spitter and Jockey. The game also adds a new type of common infected called uncommon common, which have unique traits. The Charger’s special ability is charging at groups of survivors. Successful charges can stun up to all four survivors, grabbing one and pummeling him/her into the ground. He can also carry someone over long distances, sometimes over a cliff. He is useful in a variety of situations, but can be very difficult to use due to it’s odd clipping. The Spitter’s special ability is spitting acid over an area. Survivors take damage while standing in the acid, forcing them to move. It appears to be designed specifically for countering camping tactics, which is a welcome change. The Jockey’s special ability is hopping on someone’s back and steering him/her into danger. Once on, he can be difficult to remove since his victim is moving. The Jockey is definitely my favorite to play, and the most hilarious with his maniacal laughter. One of my complaints about L4D was a lack of variety in weapon choices, but this is definitely not the case in L4D2. Along with the original lineup there are several new weapons, the addition of melee weapons, new items, as well as special ammunition and attachments. The new melee weapons are my new favorite (probably used more than guns). From katanas to guitars to chainsaws, there’s plenty of options when it comes to knocking zombie heads off. The new items offer plenty of options. You can pick up an adrenalin shot for a temporary speed boost, or a jar of Boomer bile for a role reversal. If you are willing to give up a first aid kit, you can pick up a defibrillator or explosive/incendiary ammo. What stands out about the story is the setting. The entire campaign takes place in the southern U.S. and has a continuous plot. There are several scenes taking place during the day for a nice change. There are also some really amazing environmental effects in some scenes. The characters seem rather uninteresting for the most part, but they all have a unique personality. I don’t know what it is but the original cast seemed much more original and appealing. If you enjoyed Left 4 Dead, you will definitely enjoy Left 4 Dead 2. It has everything good from the original and tons more added on top. Even some of the original features were improved like the AI and Verses mode scoring.